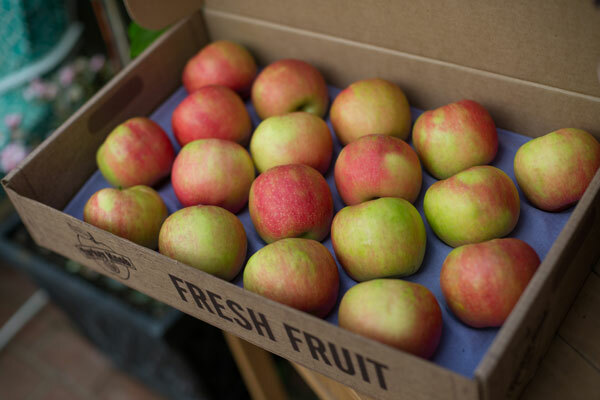 The Honeycrisp apple has a wonderfully sweet/tart flavor and the cream colored flesh is explosively crunchy and juicy. It can be recognized by its bright red and pale green outer skin. 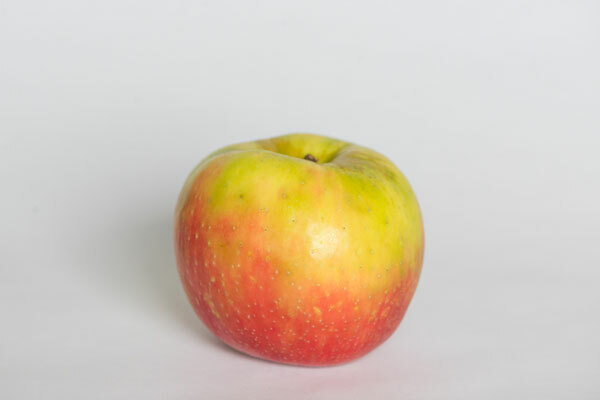 The apple was developed at the University of Minnesota and is a hybrid of the apple cultivars Macoun and Honeygold. 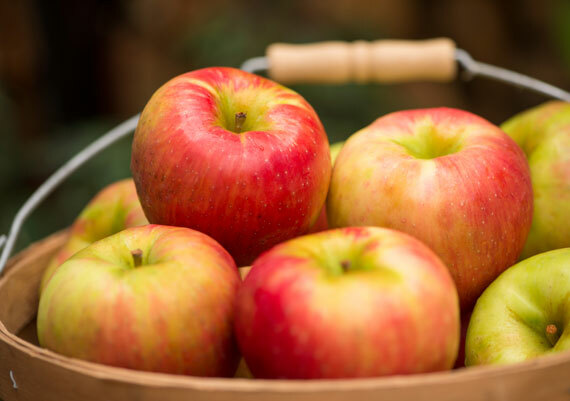 Honeycrisp apples are wonderful for eating fresh, as a snack, but they are also great in salads, for baking and cooking.